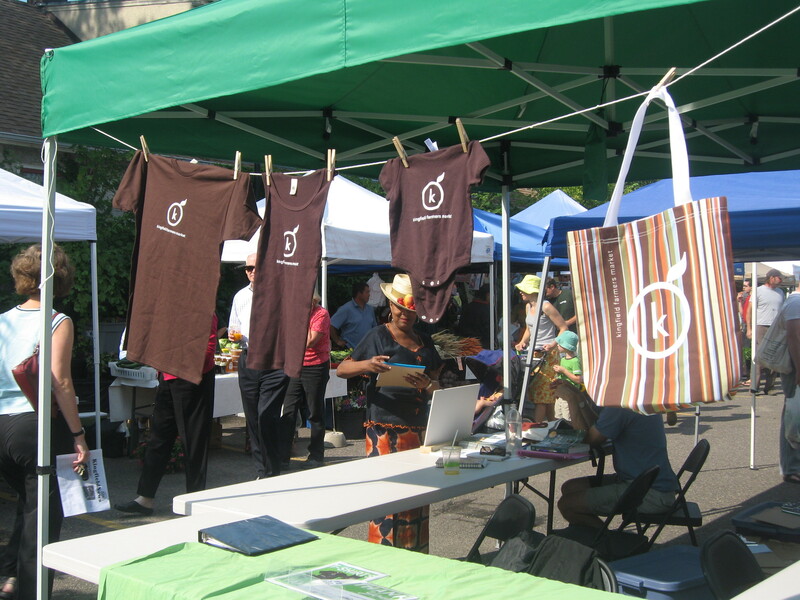 Last Sunday, my family and I (and a few friends) took the opportunity to visit the Kingfield Farmers Market in South Minneapolis. It's been ages since I've been there, but pretty much everyone I know raves about it. It's easy to see why. 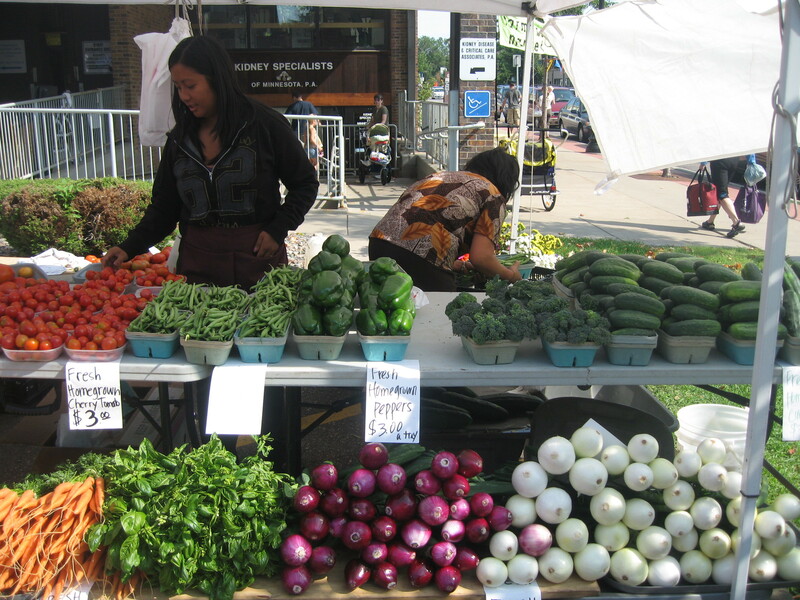 The Kingfield Farmers Market, open Sundays throughout the summer, is located in an otherwise vacant lot at 43rd and Nicollet Ave. S. The lot's not huge by any stretch, which is part of the market's appeal. 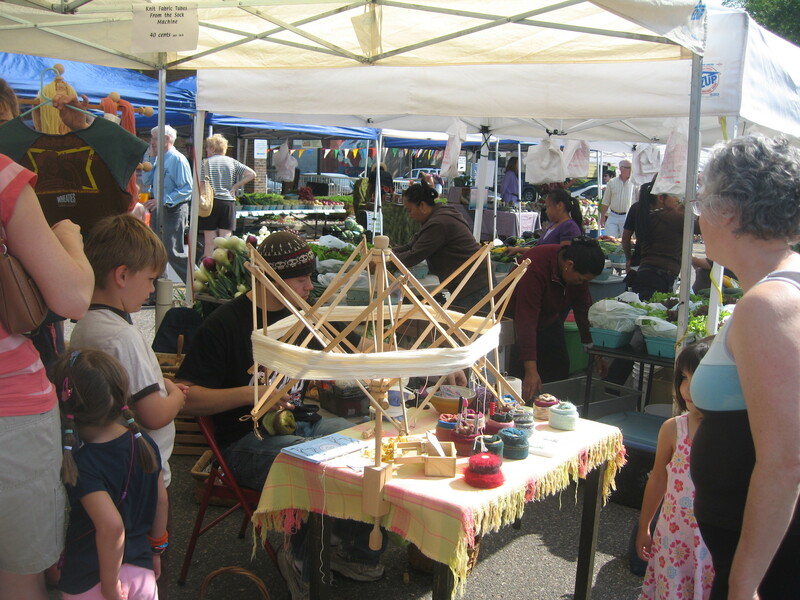 Although there are all sorts of foods and activites to explore (my kids were entranced by the sock maker for what seemed like eons) it's easy to cover the entire market in an hour. If you want locally grown cucumbers, kohlrabi, beets, carrots, anything at all - you'll find it here. What you won't find is 50 different people selling them. So while I imagine there are times when it would be nice to have more choice, most people I know are grateful to find one good vendor and keep coming back. 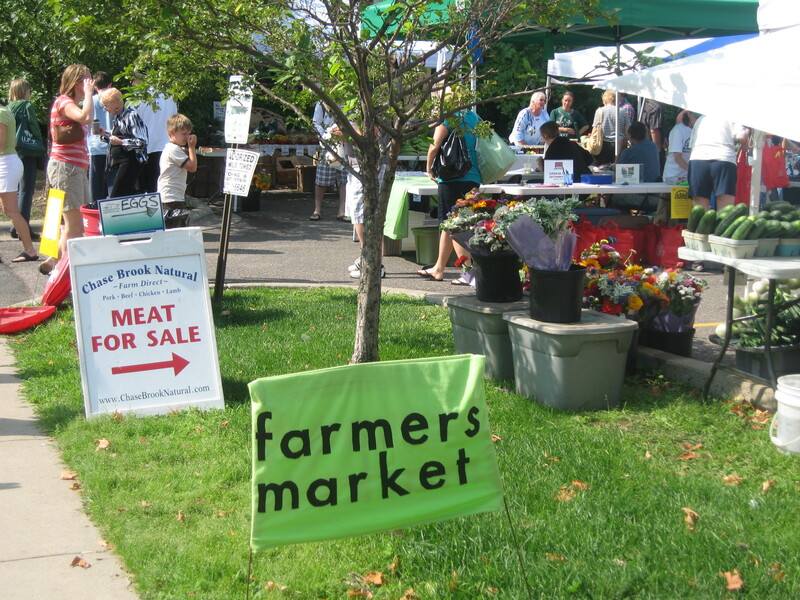 You can find more information about the Kingfield Farmers Market here, including its address and when it's open.